(this song was in my head a year ago today as I labored for 23 + hours and pushed my sweet baby girl Eloise into this world. The lyrics have stuck with me and every time I hear this song it reminds me of my beautiful girl. Happy Birthday Eloise Harper! Today truly is a “lovely day”). 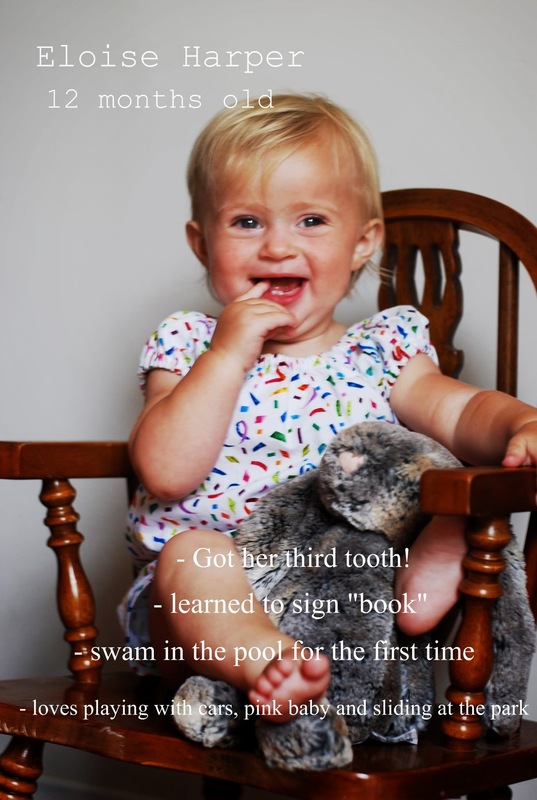 This entry was posted in Eloise's Monthly Photo and tagged 12 months!, birthday girl!, Eloise's monthly photo, remembering labor. Bookmark the permalink. Happy Birthday!!! xoxo Wishing you lots of love, happiness, health and peace to you and your family! !